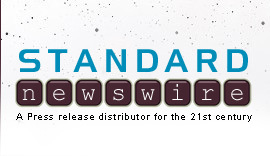 ALBUQUERQUE, June 14 /Standard Newswire/ -- Operation Rescue announces that it is sending two missionaries to Albuquerque, New Mexico, to work with Project Defending Life in opposing late-term abortions there. Bud and Tara Shaver plan to begin serving in New Mexico by the end of June. They will join Operation Rescue's Truth Truck, which has already relocated to Albuquerque. Earlier this month, the Shavers spent a week in Albuquerque working with local pro-life groups and reaching out at the three local abortion clinics, including Curtis Boyd's Southwestern Women's Options (SWO), with exciting results. After a morning of ministry outside SWO offering help to abortion-bound women, the Shavers joined Fr. Stephen Imbarrato, president of Project Defending Life in Albuquerque, for lunch at a nearby restaurant. As if by divine appointment, late-term abortionist Curtis Boyd was also at the restaurant and walked right past the pro-lifers. Fr. Imbarrato jumped up and went outside where he introduced himself to Boyd, shook his hand, and told the elderly abortionist that Christians regularly pray for him. Fr. Imbarrato offered to meet with Boyd at a later time to discuss his abortion business. The chance encounter ended cordially. The Shavers also ministered at the local Planned Parenthood, which is located directly across the street from Project Defending Life headquarters, an office that also serves as a pregnancy help center offering free ultrasounds and other practical help for women. "The Shavers have been a tremendous asset to Operation Rescue during their time with us and have done some amazing work on behalf of the pre-born," said Operation Rescue President Troy Newman. The couple spent the last year as interns with Operation Rescue learning cutting-edge tactics that are proven effective at exposing and closing abortion clinics through peaceful, legal means. "We know the Shavers will continue to be a blessing to the pro-life efforts in Albuquerque as they work together with established organizations to end abortion in that community." View photos of the Shaver's recent Albuquerque outreach.